From 1612 to 1800, today's Ginza district was the site of a silver coin mint (Ginza means "silver mint" in Japanese), after which the district was eventually named. The Ginza evolved as an upmarket shopping district following the 1923 Great Kanto Earthquake. Most shops in the Ginza district are open every day of the week. A visit is most pleasant on weekend afternoons when the central Chuo Dori street is closed to automobile traffic and become a large pedestrian zone. The road closure takes place from 12:00 to 17:00 (until 18:00 from April through September). Built in 1932, the clock tower of the Ginza Wako building is the symbol of the Ginza, standing at the northwest corner of the district's centrally located Ginza 4-Chome junction of Chuo and Harumi Dori. Inside the building, jewelry and luxury items are sold. Opened in spring 2017, Ginza Six is the district's largest shopping complex. Besides many floors of cosmetics and fashion, the complex offers interesting floors devoted to foods and interior design, a large Tsutaya bookshop specializing in art publications, a pleasant rooftop garden and a Noh theater in its basement. Opened in 2016, the Tokyu Plaza Ginza shopping complex features 14 floors of shopping and dining, including two floors of tax free shopping for foreign tourists and an interesting open rooftop with views over the city. The Ginza store of the Mitsukoshi department store chain was opened in 1930 and offers goods and services on twelve floors. Mitsukoshi's history reaches back to the year 1673. The Ginza store of the Matsuya department store chain offers fashion, foods, household goods, a pet shop, a travel agency and an exhibition hall on its eleven floors. Marronnier Gate is a shopping complex consisting of three buildings, including the buildings of the former Printemps department store. The complex contains a large number of shops ranging from small boutiques to the Ginza branch of the popular Tokyu Hands department store which covers five floors of building number one. This narrow but tall and elegant store is arguably Japan's best stationery shop, selling everything from paper to paint supplies. The store is bright and modern and contains various food and relaxation spaces on its upper floors. A separate, second building is located nearby one street off the main street. This gargantuan Uniqlo branch sprawls over twelve floors and purportedly offers the most diverse range of Uniqlo products anywhere in the world. 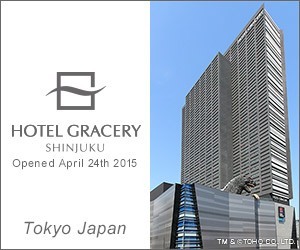 Visiting here is a must for any fans of Japan's most famous clothing brand. Regular tickets for an entire play typically cost between 4,000 and 22,000 yen depending on the seat and require advance reservations. Tickets for just single acts are sold on the day at the theater for around 2,000 yen. The Kabukiza is one of the best places to see kabuki, featuring plays almost every day. The building was reconstructed and reopened in April 2013. It closely resembles its predecessor except for a skyscraper that now stands above it. Located diagonally across the Ginza Wako on the Ginza 4-Chome junction, this complex was opened in 2016 and features a Nissan showroom, Sony showroom and a few eateries and restaurants. Located just outside of the Ginza area to the north, the four floor Police Museum is operated by the Tokyo Metropolitan Police Department and is free of charge. Although there are no English explanations, displays such as historical uniforms and equipment can be easily understood. One of Tokyo's most interesting dining districts is located beneath the elevated train tracks north and south of Yurakucho Station (in Japanese: Gado-shita from "below the girder"). Stretching over about 700 meters, dozens of restaurants are built into the brick arches below the Yamanote Line, ranging widely from small yakitori joints and izakaya to beer halls and slightly more upscale French wine bars. The most convenient stations for accessing the Ginza district are Ginza Station on the Hibiya, Marunouchi and Ginza Subway Lines and Yurakucho Station on the JR Yamanote Line, JR Keihin-Tohoku Line and Yurakucho Subway Line. Portal website by the Ginza Street Association. Official website of the Kabuki Association. Page on the official website of the Tokyo Metropolitan Police Department.